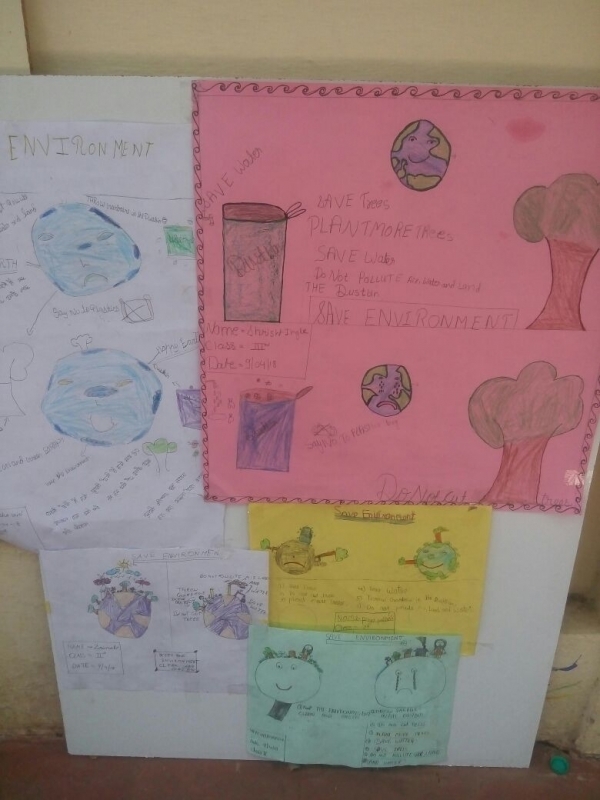 As a part of their EVS Curriculum a poster making activity was organized for the students of grades II & III on the theme of ‘Save our Earth’. 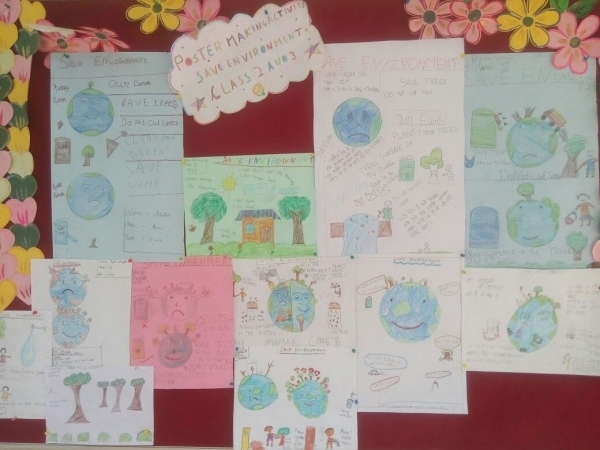 It was time to generate a feeling of belongingness and responsibility towards keeping our environment clean and green. 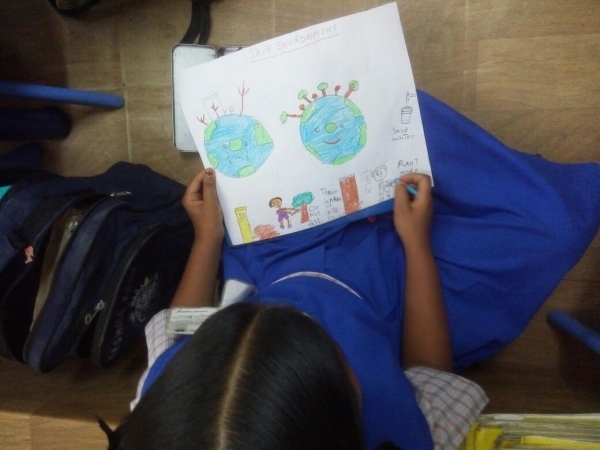 The students were made aware of the alarming environmental conditions and how we as individuals can contribute in creating a better world. 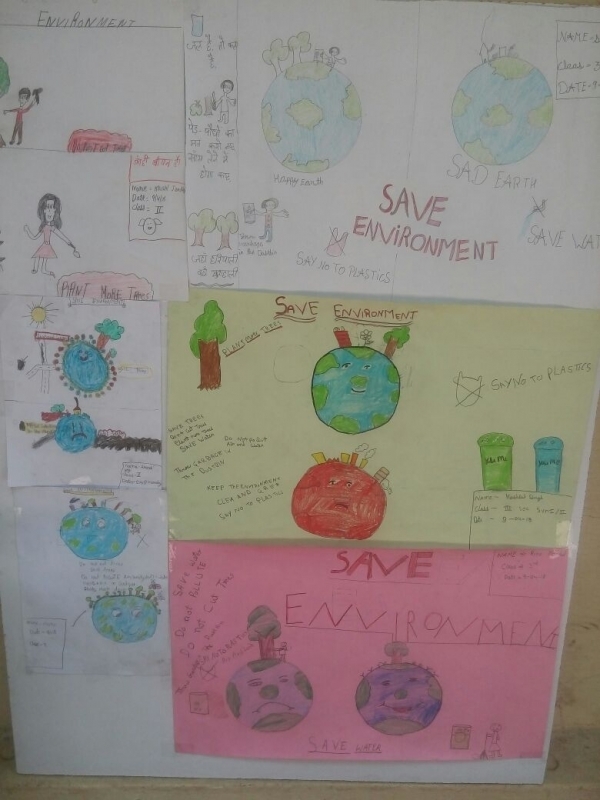 The students used their creativity to showcase their perceptions about saving the environment on a canvas. 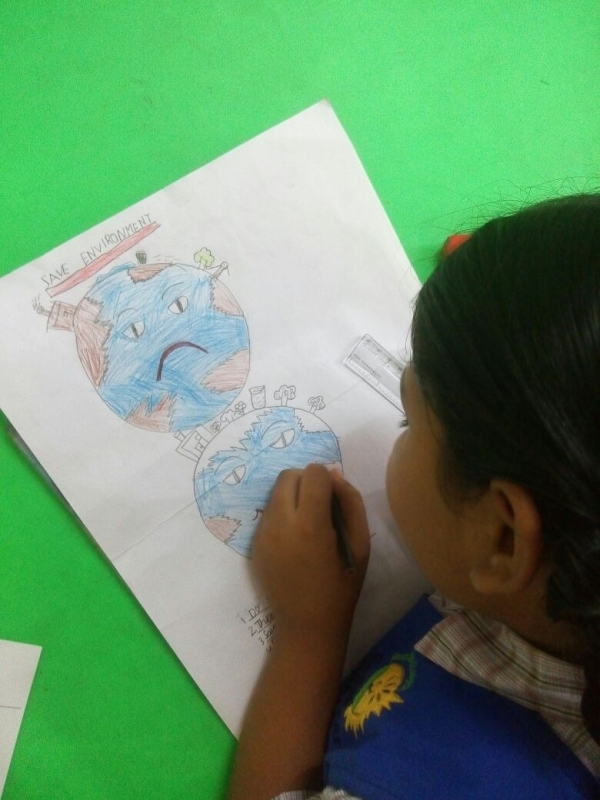 The students through their humble efforts elicited that reducing pollution and other damages can go a long way in safeguarding the overall health of this mighty planet. 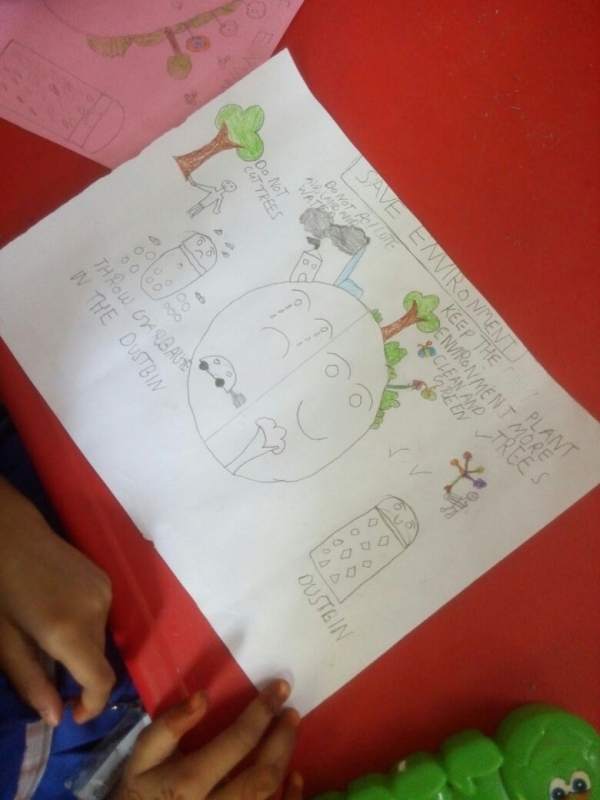 To further enhance their paintings, the students also wrote creative slogans to re-iterate the message clearly.